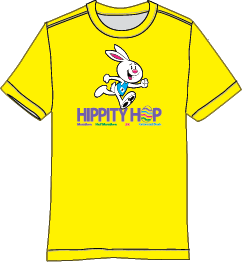 Join us for our 3rd Annual Hippity Hop Marathon / Half Marathon / 5K / Cottontail Dash event. 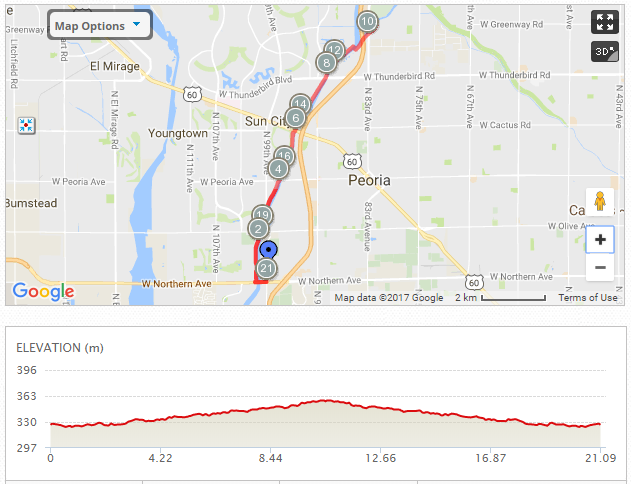 The courses will take you through the dedicated running trails of the New River Trail System, starting and ending at Park West Entertainment District in Peoria. 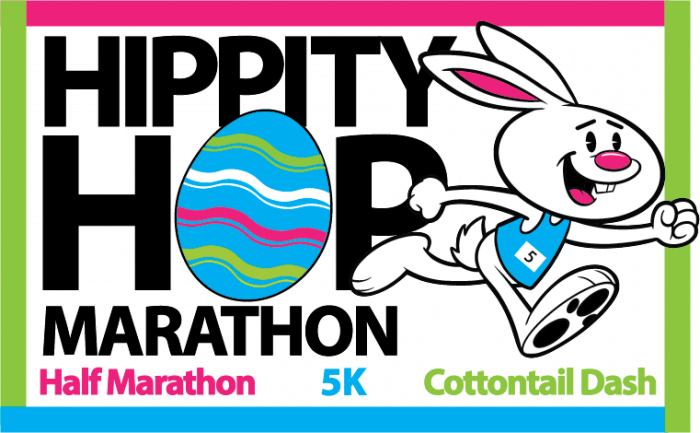 Cottontail Dash is an untimed half mile fun run with an egg hunt along the route. 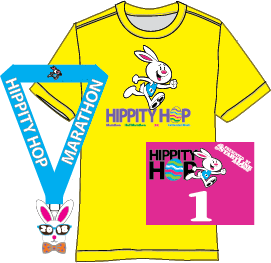 All participants receive a finisher's medal and a shirt. You are welcome to bring your own bag/basket or one will be provided for you. 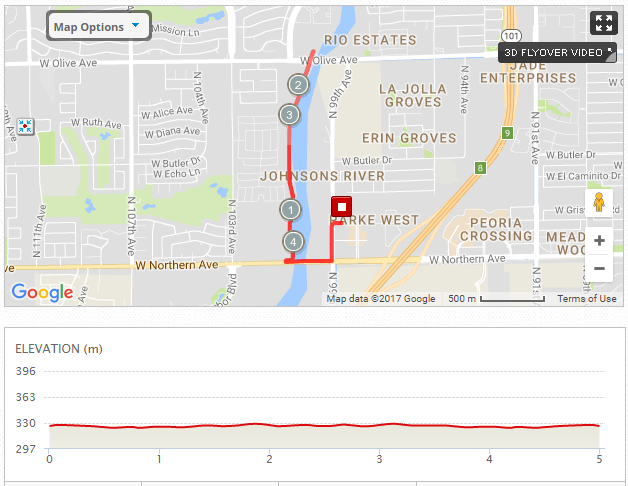 This event has a 100 person limit. 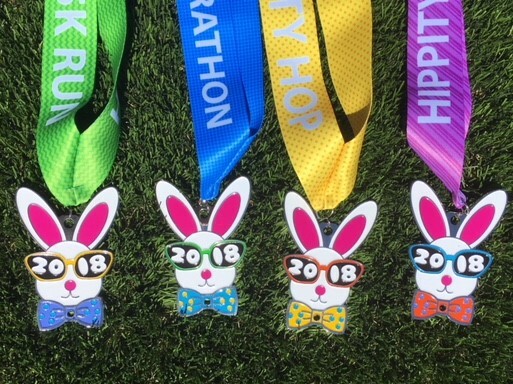 Marathon: 1.55, 3.28, 4.8, 6.55, 7.96, 9.53, 11.34, 13.1, 14.88, 16.7, 18.3, 19.7, 21.3, 23.05, and 24.7. 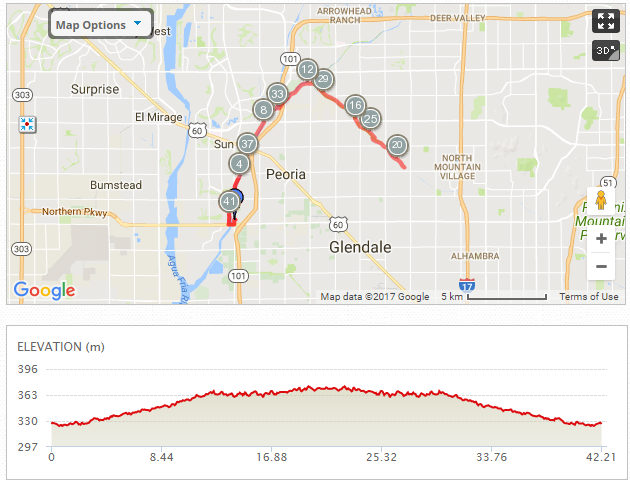 Half Marathon: 1.55, 3.28, 4.8, 6.55, 8.3, 9.82, and 11.55. NOTE: At the parks listed above, park bathrooms will be utilized. 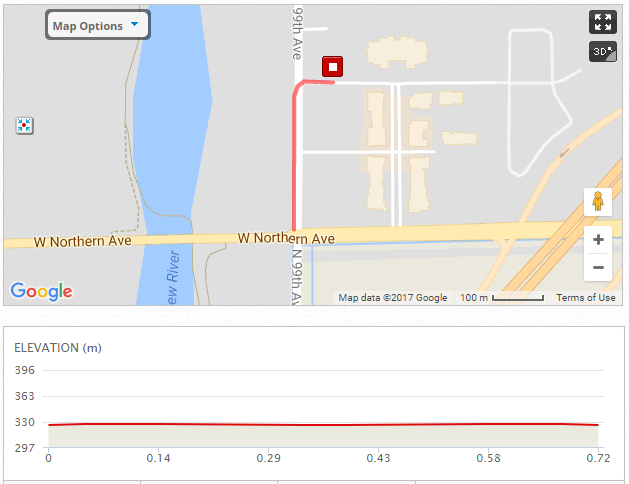 Race day packet pick-up available at Park West (race location) starting at 6:00am.